Brick Township will host its wildly popular Trunk-or-Treat event later this month, the township announced Monday. 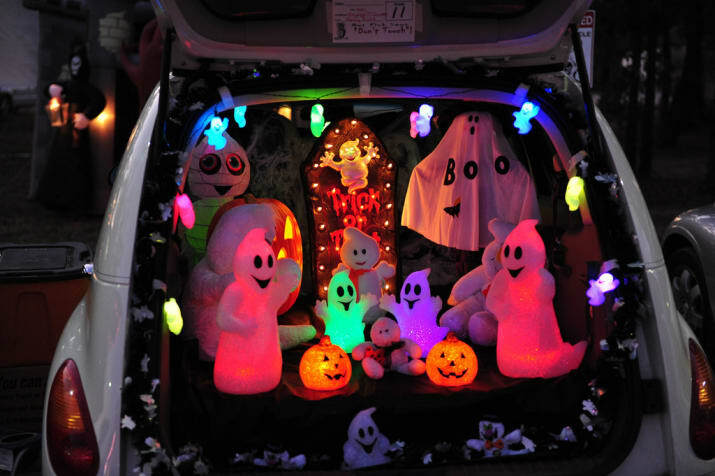 The annual Trunk or Treat and Halloween Spooktacular will be held Friday, Oct. 19 from 6:30 p.m. to 8:30 p.m. at the Drum Point Sports Complex. Residents are invited to participate by bringing their car, truck or van to the complex, decorating them and handing out treats. There are still openings for families, groups and businesses who would like to participate by decorating a vehicle and handing out treats. Trophies will be awarded to the best decorated vehicles. Anyone interested should call the township’s Recreation Department at 732-262-1073. “We are always looking for more cars for the event. The more trunks we have, the more fun it is for the kids,” said Ducey. The Recreation Department is also seeking donations of candy. All candy donations will be distributed at the event and will help ensure all children receive candy. Candy donations can be brought to the Recreation Office, 270 Chambers Bridge Road, or brought to the event. In addition to the Trunk or Treat, there will be a costume parade with trophies awarded to best costumes in various age groups, a hayride and more. The Trunk or Treat and Halloween Spooktacular is open to Brick residents only and is FREE to attend. Pre-registration is required for all vehicles and for the costume parade. Costumes are required to take part in the trunk or treat. For more information or to register please call the Brick Recreation Office at 732-262-1073. The rain date for this event is Friday, October 26.